Suzanne Budd is a Canadian born abstract painter based in Los Angeles. She considers herself extremely fortunate to have had Richard Diebenkorn as her first painting instructor. His powerful use of color and composition have been an inspiration. Her work has been shown at varied venues including The Torrance Art Museum. 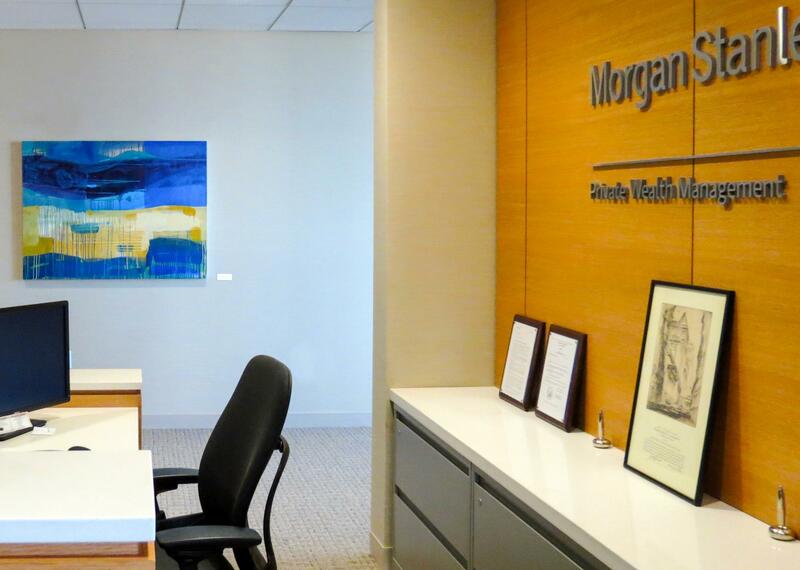 Morgan Stanley owns and displays six of her paintings in their New York and San Francisco offices. Her journey as an artist is one of discovery as she builds an abstract painting layer upon layer. She begins by making a mark or laying down a wash of color and then in a very organic way responds moment to moment as she engages in the process of paint application. Addition and subtraction are important in her work; by adding to or erasing areas she builds the new while allowing some history to remain. Budd's work reflects an undersating and honoring of the impermanence of life. Nothing stays as it was. Each painting evolves much as our lives do. Having only a vague idea of where she wants to go she intuitievely responds to the painting, honoring its past while opening to the present. Contrasts are important in her work - contrasts of color, texture, light and dark, foreground and background, complex detail against simple expanses of color, always trying to bring discordant areas into balance and harmony.